As the Future Business Leaders of America we think you should be experiencing, and traveling to, some of the top business and entreprenueral cities across the nation. FBLA members deserve a break for all their hard work, and what better way to take a break than by traveling to a new, business-savvy, factory or university filled location? Not much, so let us help you make it happen for your group today! Education is important in this city, which means the economy is stimulated very well. A low cost of living aids the business stronghold, as well as the fact that OKC is one of the easiest start up environments in the U.S. Talk about an excellent FBLA opportunity! BancFirst, Chesapeake Energy, Devon Energy, Loves, OGE Energy and many other successful businesses have started and thrived in OKC. A startup market that has reacted extremely well to the millennial boom, has low unemployment, and an excellent central location, Denver is definitely a frontrunner for FBLA trips. The average household income in Denver is $69,908. Forbes ranks Denver #1 Place for Business and Careers in the U.S, something both Fortune and the U.S Chamber of Commerce agrees with. The city holds several iconic businesses that have seen their start here, including Chipotle, JD Edwards, RE/MAX, Samsonite, and HealthOne. The manufacturing and port town history here alone will give your FBLA group a great U.S business lesson, but when you add in the University Circle economic community and booming healthcare industry, you’ve really got your perfect business education location. Sherwin Williams, Back Yard Burgers, CardioInsight, and many other successful businesses have started and thrived in Cleveland. 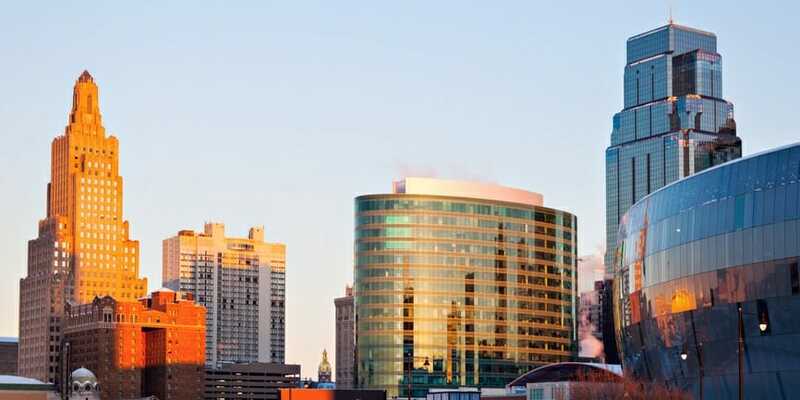 A big name in up and coming cities, Kansas City provides affordable housing, rapid expansion opportunities for small businesses, and an overall excellent central geographic location for U.S business. H&R Block, Google Fiber, Seaboard Corp, Sprint, Cerner and many other successful businesses have either started and/or thrived in OKC. Home to Brigham Young University as well as a key operational center for Novell, this Utah gem is a definite must for your FBLA group. Tech devolpment is huge here, and techinially this city is the 'happiest in America'.Apparently money does buy happiness, huh? The average household income is $63,039. Qualtrics, Ancestry.com, Novell, and Vivint Smart Home, and several more successful businesses have either started and/or thrived in Provo.